The Christmas Day Hike | Just Shooting Memories! I’m a little late today. That’s okay after yesterday. 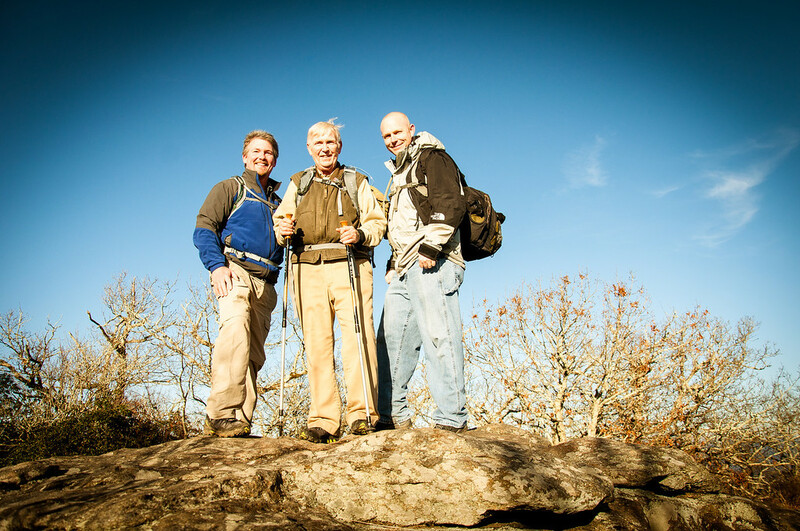 My oldest brother has decided that we need to take our dad on a hike through the Great Smoky Mountains. I’ll not bore you yet with details, but as part of that, we have begun getting dad out and working on strengthening his legs. So, yesterday (Christmas Day) we decided to take a little jaunt up Blood Mountain. We took the trail up the North side of the mountain. Arguably the hardest ascent of the Appalachian Trail in Georgia. This shot is from the peak. All 4450 or so feet. Right around 2000 feet of ascent in a little over 2 miles.